GMC returned to this customer after a competitive tender process for the full package of design & build. The team started with a specific set of requirements from the client. 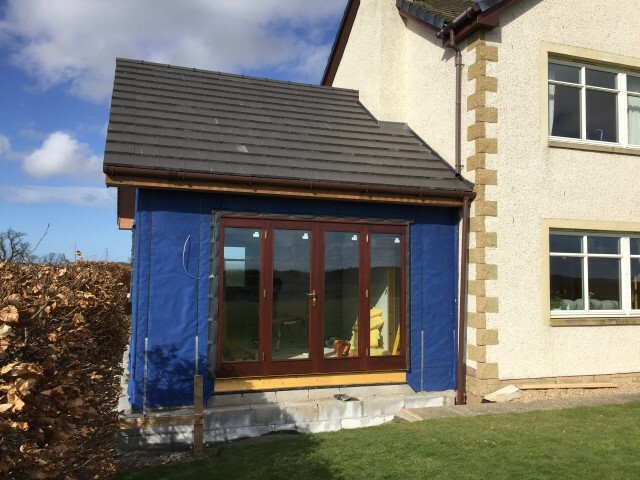 To create an annex bedroom with en-suite, design to client’s requirements and obtain planning permission & building warrant with Scottish Borders Council. The team walked the client through the whole process before work could begin. The project in build terms is as straight forward as it gets! 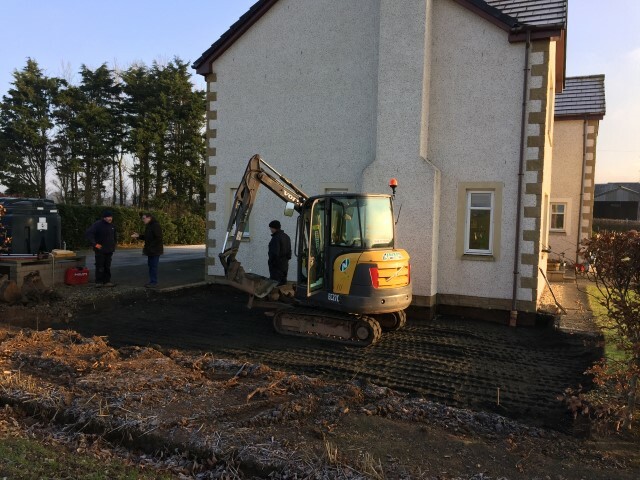 A level site with good ground conditions suitable for strip foundations and existing drainage nearby to connect to. 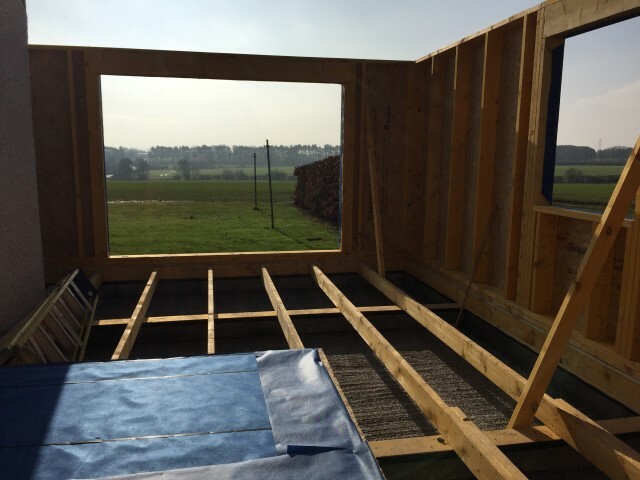 With ground works complete the team manufactured the timber frame in the GMC workshop and erected on a suspended timber floor insulated with 150mm mineral wool. 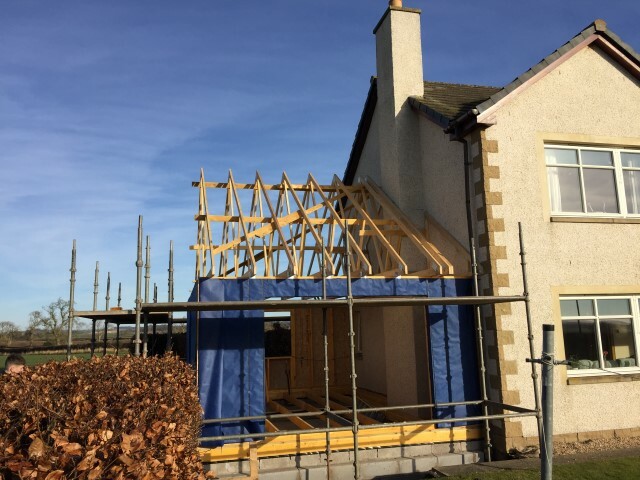 The timber frame was engineered with a U-Value of 0.13 below standard frame performance but not the lowest/best we can achieve with more expensive products. This is a compromise between performance & cost. Here at GMC have access to a range of products and product knowledge to get the best performance out of any budget. 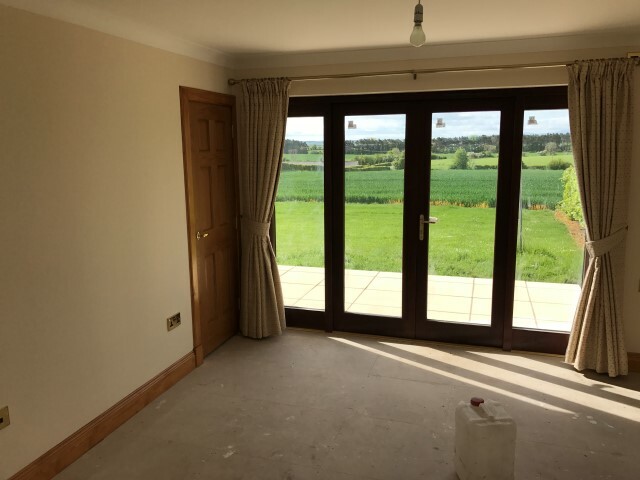 The windows and patio doors are manufactured locally by WRM in Hardwood with high performance double glazing and seals. The roof is an engineered timber truss system covered with a breathable felt and finished with a Marley modern roofing tile. Our team advised the client on this tile many due to aesthetics. This product offers a cloak verge tile which leaves a much nicer finish than plastic dry verge. 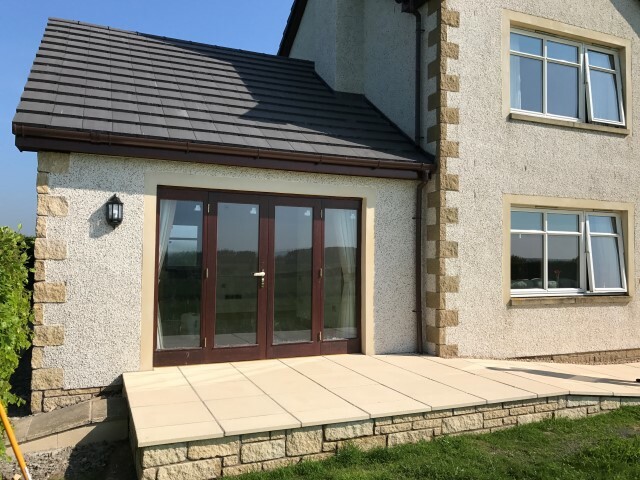 The external wall finish is pebble dash and rendered jambs around openings with decorative art stone base course to match the existing property. 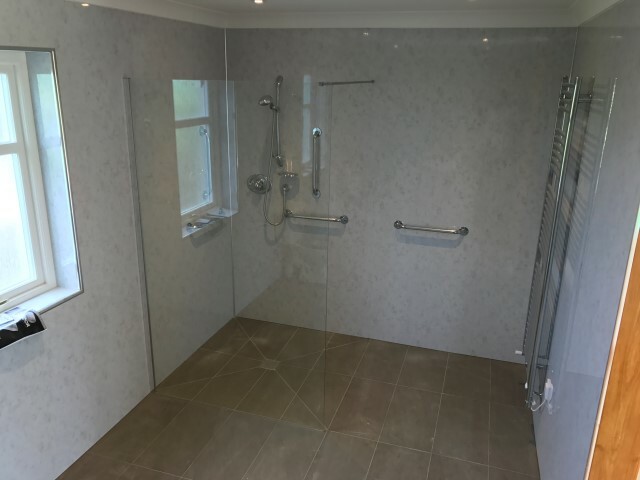 Internally the en-suite and bedroom were finished to the client’s exact requirements with GMC providing wet-wall & Tile sample for the client to choose their finish. The shower features wet-room style floor and glass screen for easy access. The walls are fully finished in wet-wall for easy cleaning with sanitary wear to the clients taste. 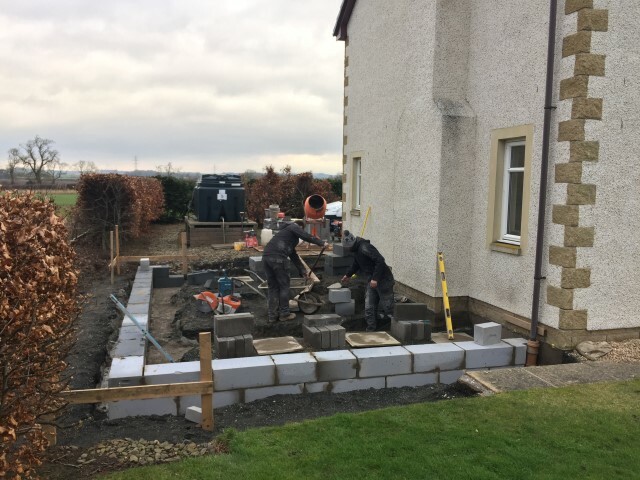 As part of the finishing the works, the ground works team fitted a new patio off the large garden doors with ramp access to the garden. 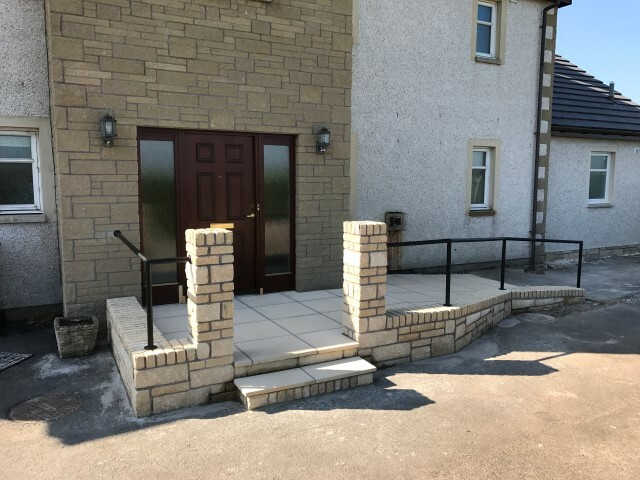 The team designed a new feature access to the front door using the same stone as the base course. The job was a pleasure for the whole team from start to finish and we wish the client well with their new space.